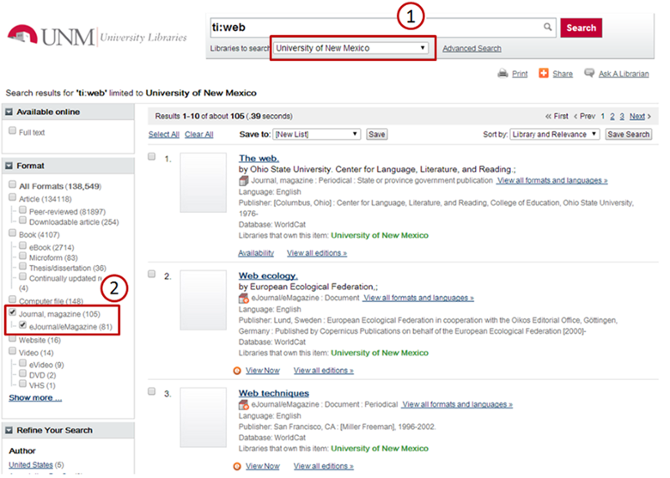 Use the dropdown to limit your scope to University of New Mexico. Check the Journal, magazine format. Where can I find newspaper and journal articles? How can I access journals from off campus?